No. 2 "dubs" does it: Terre Haute South No. 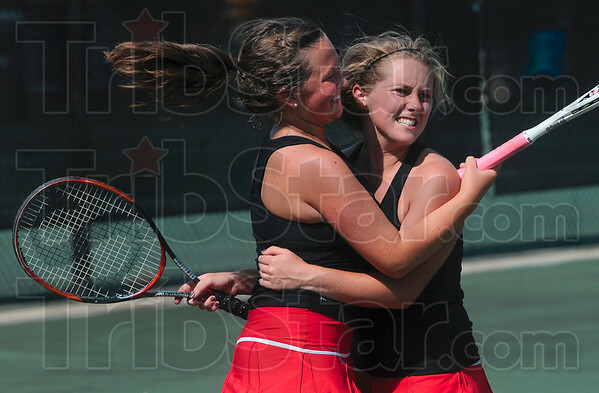 2 doubles teammates Jacqualynn Bogle and Lexi Summers celebrate their state tennis quarterfinals victory over Highland Friday at Park Tudor High School.